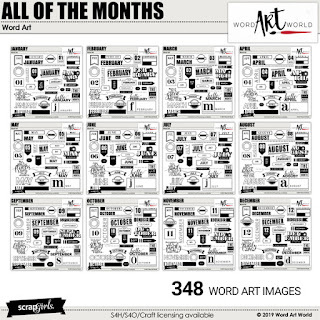 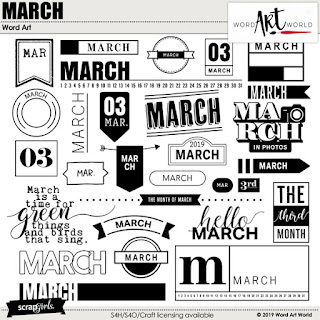 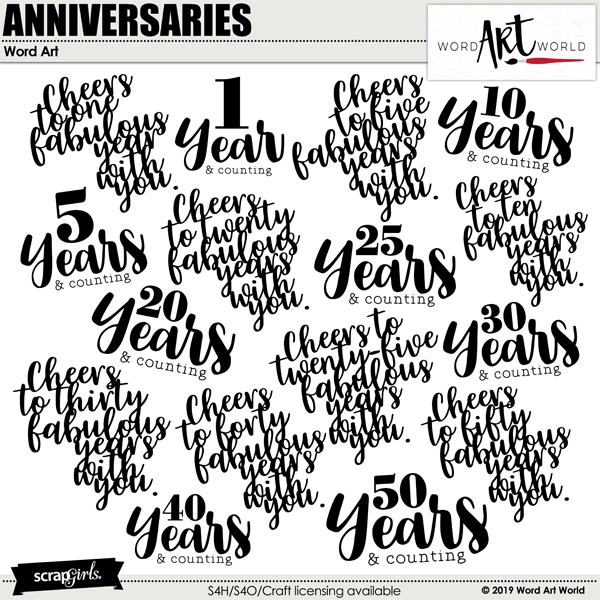 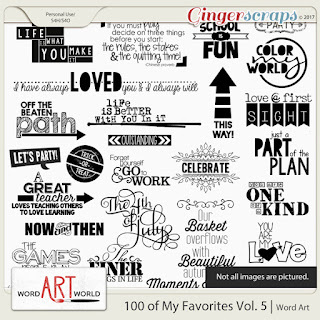 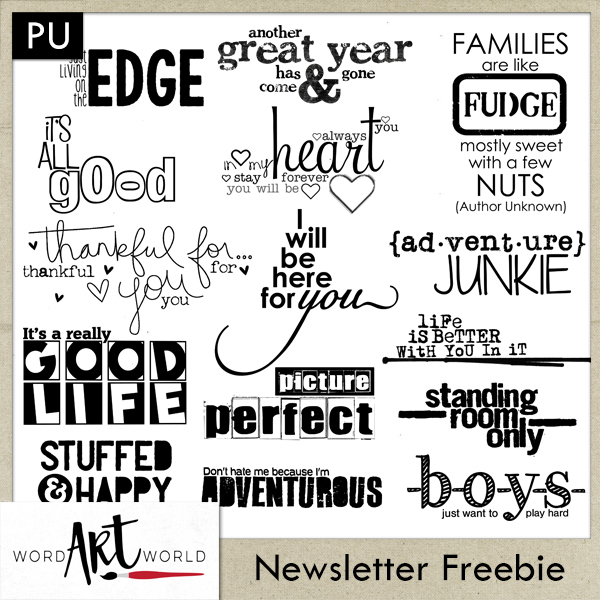 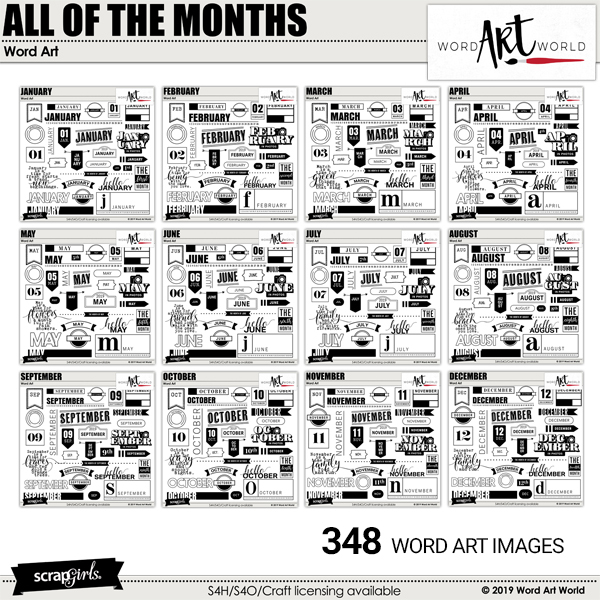 Word Art World: $1 Bake Sale, New Word Art Packs and Monthly Freebie! 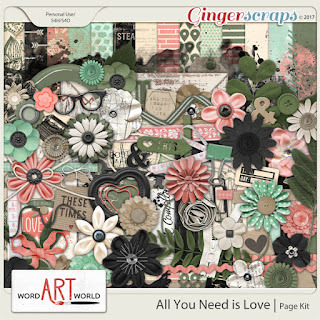 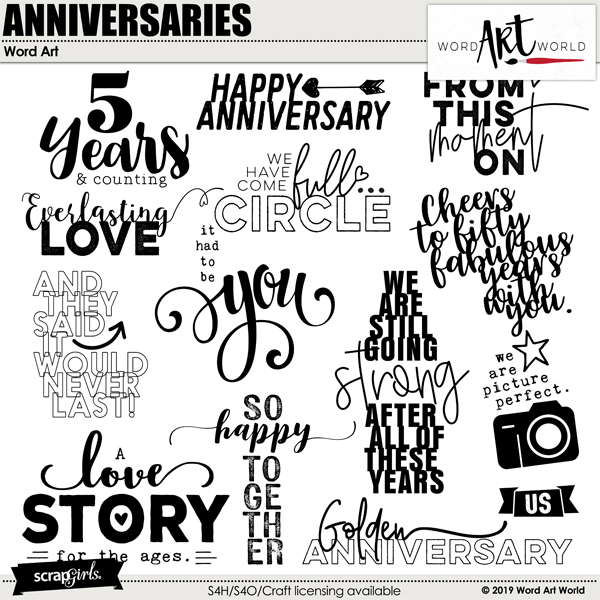 $1 Bake Sale, New Word Art Packs and Monthly Freebie! 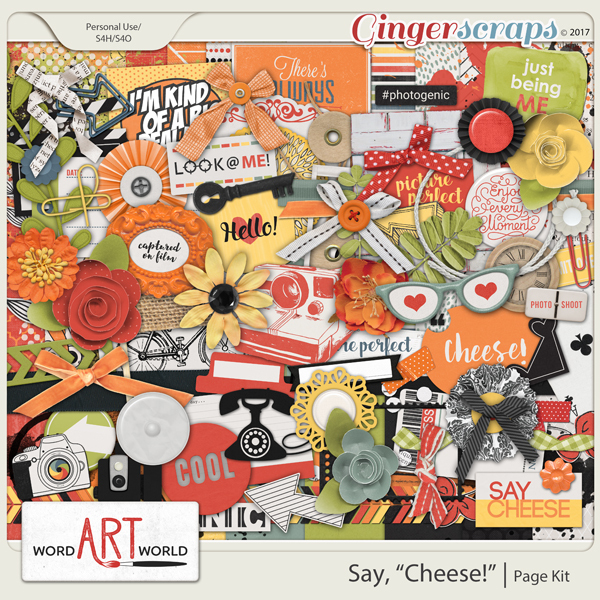 Each of these products is only $1 in my store over at GingerScraps through the end of March 20th only. 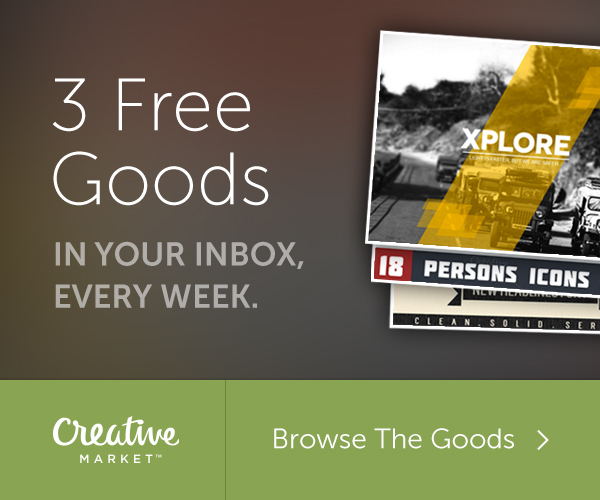 You can check out all of the $1 deals HERE. 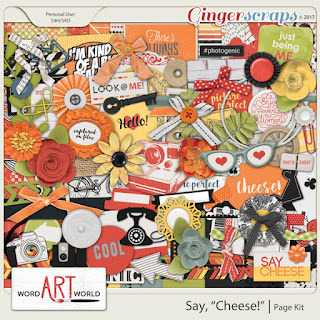 and in my store at Scrap Girls---and will be 20% OFF through Thursday, March 22. 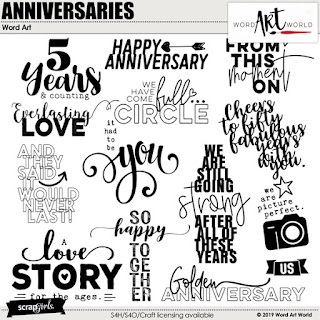 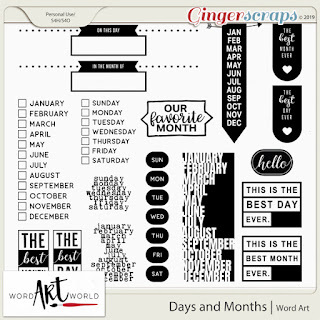 ANNIVERSARIES features a set of 30 word art images, as is shown in the two previews below. Use these lovely images as inspiration for your next layout! 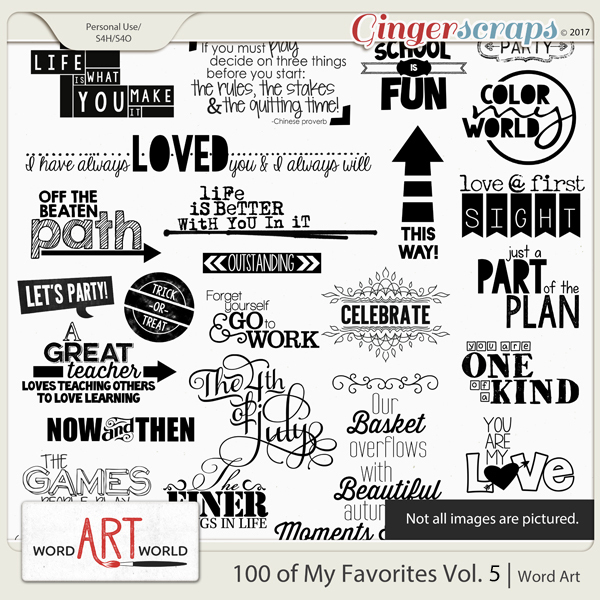 Each image is offered as an individual, transparent PNG file so you can easily use them in any scrapbooking software. 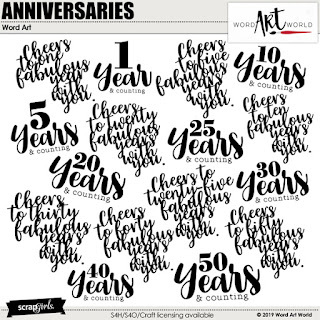 Or, you could print them out and use in your bullet journal! 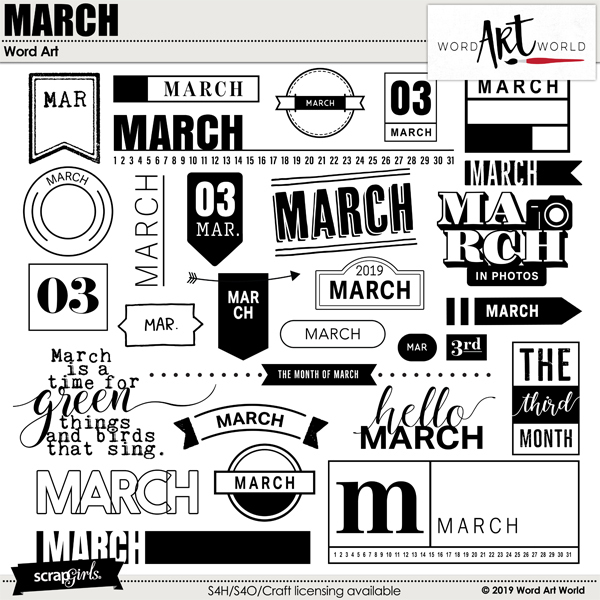 It will be available for download through the end of March 2019.